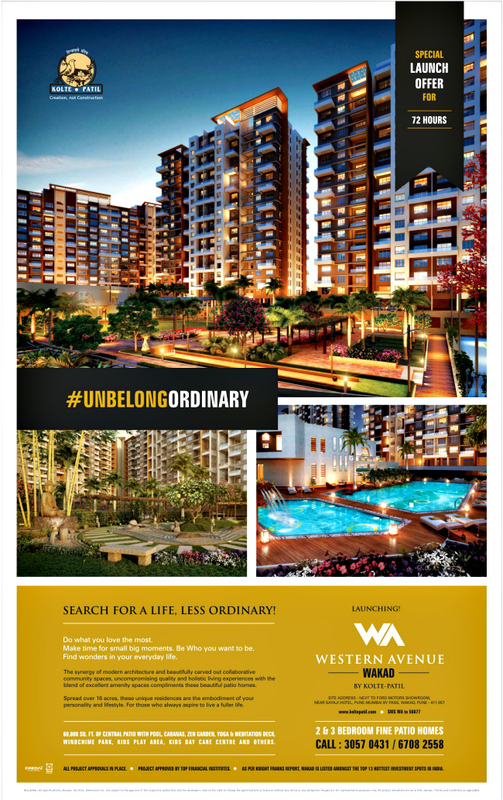 Ravi Karandeekar's Pune Real Estate Advertising and Marketing Blog: 1 BHK Designer Duplex - opp Magarpatta City, Hadapsar! 1 BHK Designer Duplex - opp Magarpatta City, Hadapsar! Available! Corner Terrace Apartments in Amanora Future Towers!! Sir, Request you to please provide an update about the pricing? How much it is costing overall? Dear Amit, good for the developer! Please let us know if you have any query! Renaissance Realty Inc - comprises of synergized and skilled real estate professionals with a diverse skill set to provide the best and most profitable real estate options to customers in India. With over 6+ years of experience, we now boast of more than 6500 satisfied clients with over 8000 successful transactions. Based out of Delhi, Noida, Gurgaon & Bengaluru, Renaissance Realty Inc. covers Pan India realty developments and is associated with Developers like DLF, Jaypee, Logix, Silverglades, Brahma, Anantraj and Spaze amongst others. Noida: The crisis-strike Greater Noida Master Strategy 2012, that nonetheless awaits eco-friendly signal from the Central Govt, once designed, will appear up as the prime place of cost-effective variety perfect aspiration residences for the metropolitans living in the Nationwide Capital and NCR location. 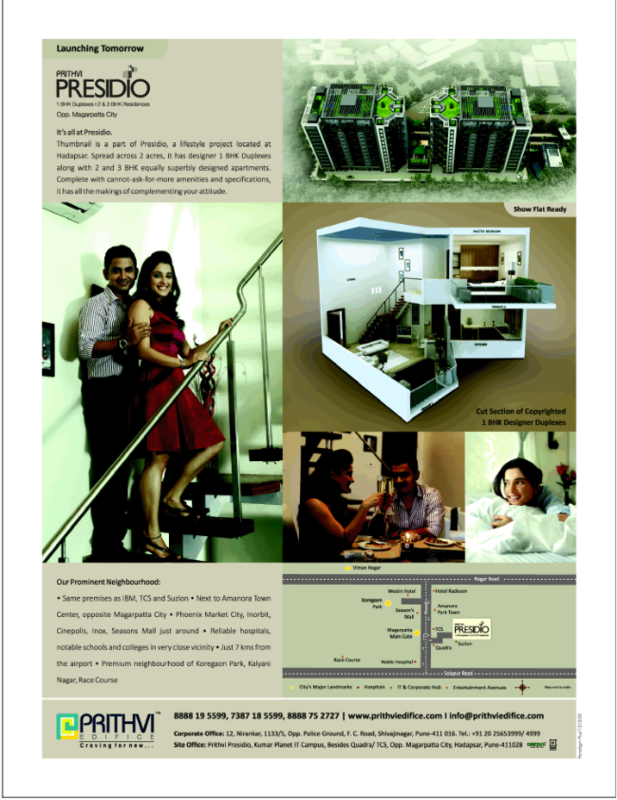 Hi Ravi, what do u think about hillock towers,somatne phata project by Artharaj Realty builders. Is it worth buying..
experience has included the contract negotiation of large infrastructure projects in the rail, health, defence and education sectors, the facilitation of broad acre development sites in Melbourne on behalf of a multi national consortium, the advice to Australian investors seeking to purchase exploration rights in The Philippines and the appointment as Project Manager to numerous residential and mixed use projects. i have my property which is also 1 BHK duplex but at times i feel it to be congested. i think the duplex homes must be more than 1500 sq.ft. anyways this seems to be a good project. thanks for sharing. 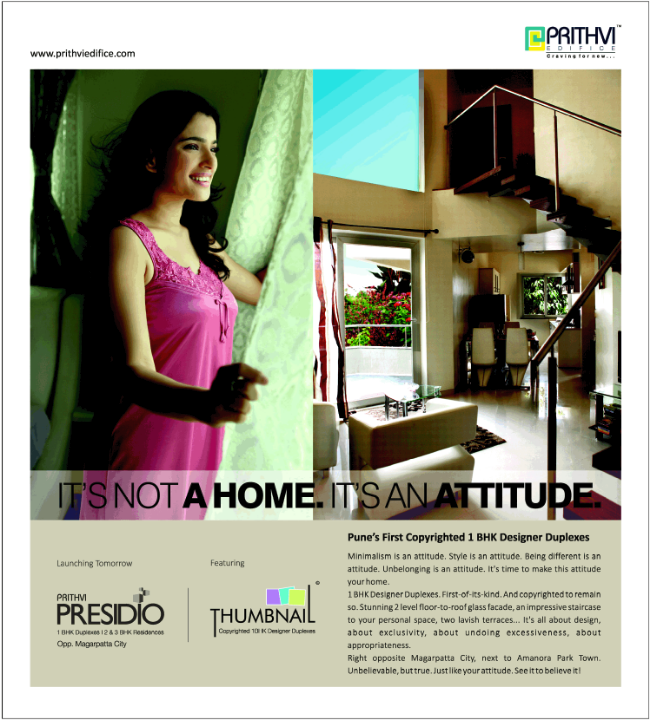 As an investment in property Pune has grown up as a good option. Nice Post, This is very informative and useful. Thanks for sharing..
the residential property portal in metros have no space remaining for development because of which the developers are moving towards its surrounding areas. so according to me this is the perfect time to invest here. Very Nice blog helpful for investors and buyers, thanks for sharing keep posting. this is the best blog for real estate this is very greatfull for real estate business in pune. You have post great job right now. There is an exclusive housing project by Lotus Greens Developers at Sector 98, Noida as Lotus Square. It is top class residence for standard living in Noida. the rates of properties for rent in patto have inclined. the reason behind this are expensive ownership homes.